The Swissotel Chicago’s unique triangular shape offers guests dynamic views of the Chicago skyline. Eric and his son stayed in the Christmas-themed Santa Suite atop the 41st floor. The space is so special that Santa himself deploys a group of special elves straight from the North Pole to decorate it! Of course, Santa Claus has to see the elves’ work for himself. 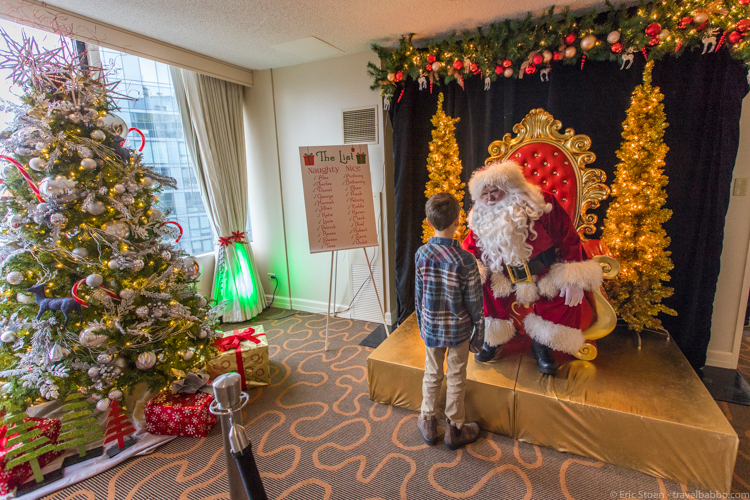 Guests can meet him at his specialty Santa Suite throughout the month of December. 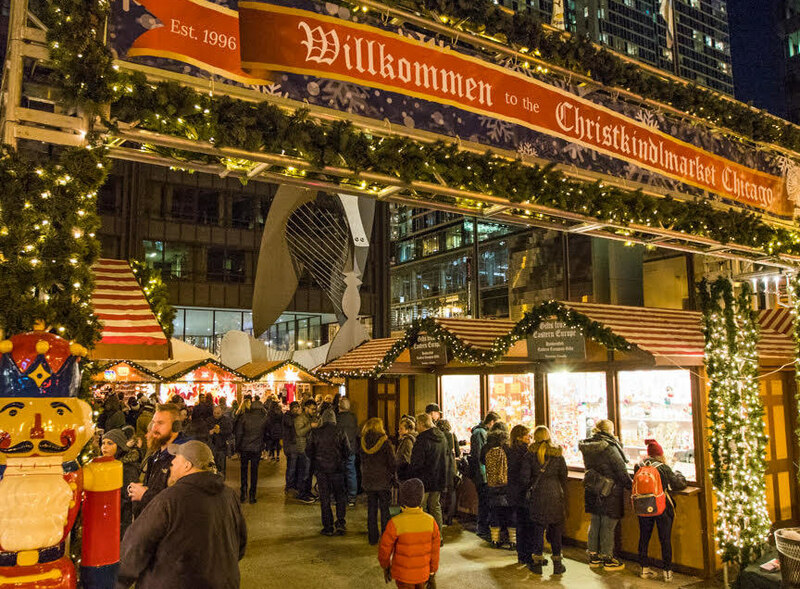 In addition to a elf-decorated guest room, the two were able to enjoy Chicago’s other holiday events and festivities, including the Christkindlmarket. Eric says the market immediately put them in the holiday spirit! The Swissotel Chicago is conveniently located near several of Chicago’s top attractions, like the Museum of Science and Industry. 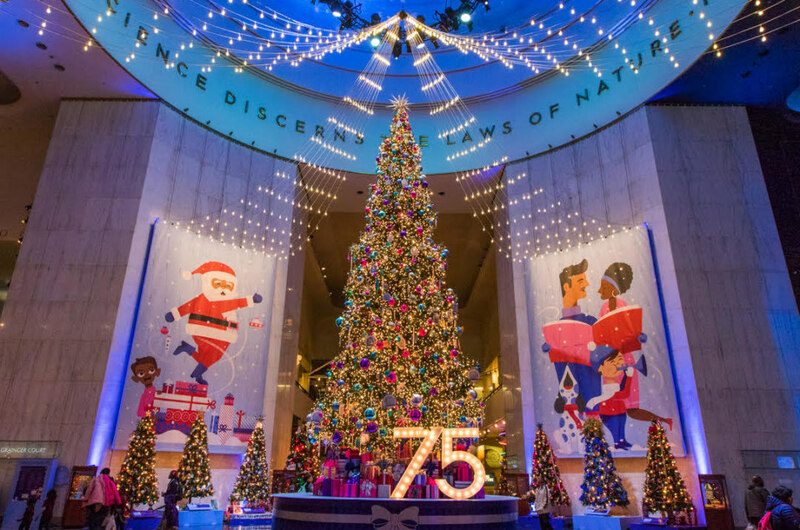 The museum hosts an annual display of Christmas trees from around the world. It wouldn’t be a complete trip to the Windy City without a photo in front of the Bean. We love this angle taken by Eric (and his son, of course!). Located just steps away from the Chicago’s best attractions is the Swissotel Chicago. A hotel second to none, this triangular-shaped building is packed with intricate details and stunning amenities — along with a whole bunch of holiday spirit. 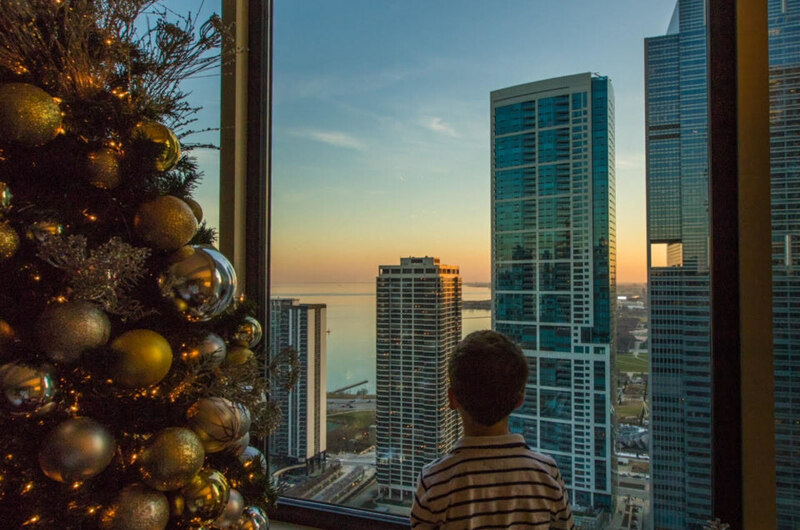 In addition to a specialty Santa Suite and elf-decorated holiday rooms, the hotel features plenty of activities, like ice skating at Maggie Daley park, the Swissotel Chicago is sure to get anyone into the holiday spirit — even a Scrooge. 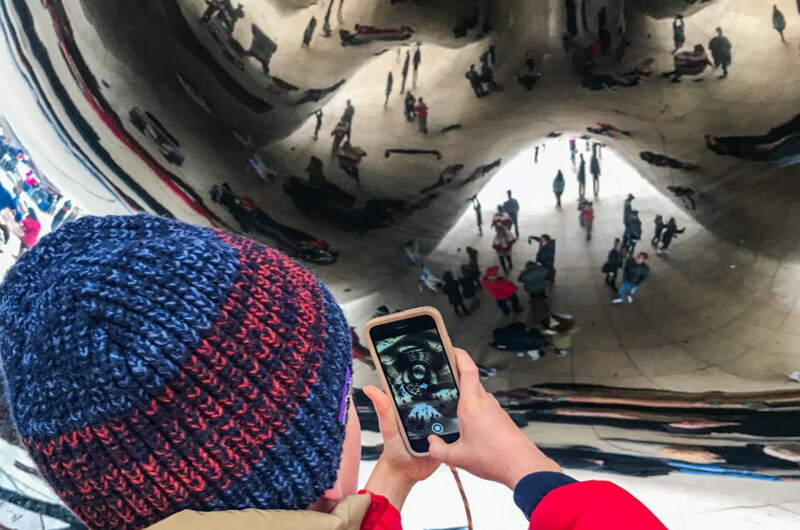 We sent one of our favorite family travel bloggers, Eric Stoen of Travel Babbo, to the Swissotel Chicago property earlier this month to uncover the best holiday finds. They didn’t disappoint. Itching to recreate the trip? Click here to begin planning your own winter getaway to the Windy City by click here.